Kennedy was assasinated in Dallas, Texas while in a motorcade in 1963 on the 22nd of November. At JFK's side sat his wife who was the last to see her husband while he was living. 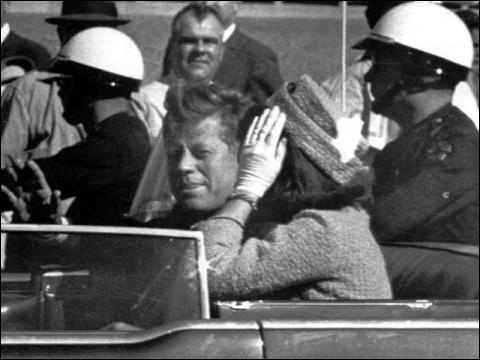 It was concluded by the Warren Commission that one shooter had fired three bullets, the first of which struck Kennedy in the neck. Lee Harvey Oswald was taken into custody a few days later, but was killed by Jack Ruby before given a fair trial.